The Cedar Falls rugby team has clinched the East Mississippi Valley Conference and advanced to State. The Tigers are perfect in conference play with a 3-0 record, and all three of the team’s losses have come in out-of-conference play in the rugby team’s first season. 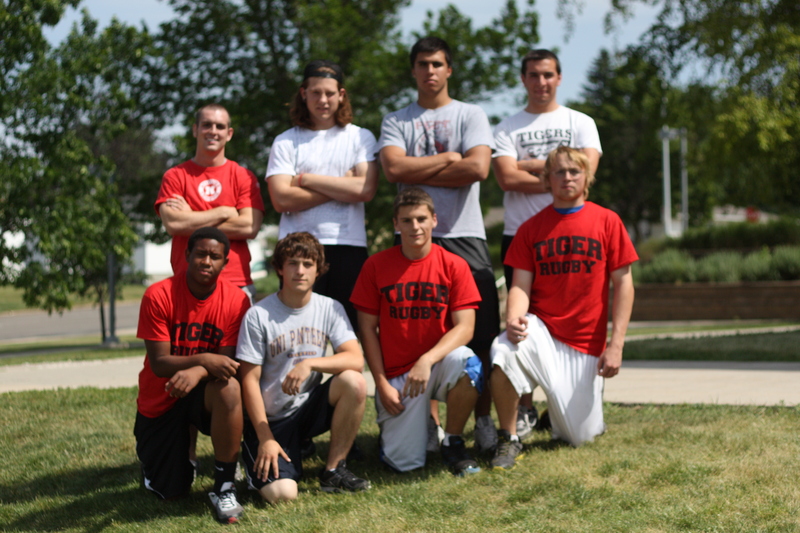 The Cedar Falls rugby team is a club association, not officially connected with the school. “I was watching some rugby on YouTube, and I saw that there was an Iowa High School League. I talked to some kids who were interested, and it took off from there,” junior Austin Mennen said. After a long coaching search Mennen came across Michael Klostermann, a business marketing major at the University of Northern Iowa who also coaches the Hawkeye rugby team. The Tigers drove down to Iowa City for their first three games of the season, sweeping the competition even without senior Ben Challgren. 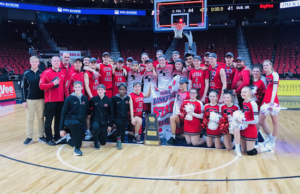 “The Cedar Falls team is the most physical team we’ve played this season,” said Jim Estes, Quad Cities coach. Most of the players on the team are current or former football players, but the rules of rugby are much different than football’s, and the team took awhile to adapt. “The first game was a little rough. We had a lot of penalties called on us for things we didn’t know about, and sometimes they were able to score off it,” Mennen said. In the future Mennen would like to see rugby become a recognized school sport. It would allow the team to have home games, and make the scheduling process a lot easier. The rugby team will be in action on Friday, May 18, in the quarterfinals of the state playoffs against West Des Moines Valley at Williams Stadium in Des Moines.